Like so many things in life, retro games often get better with age. 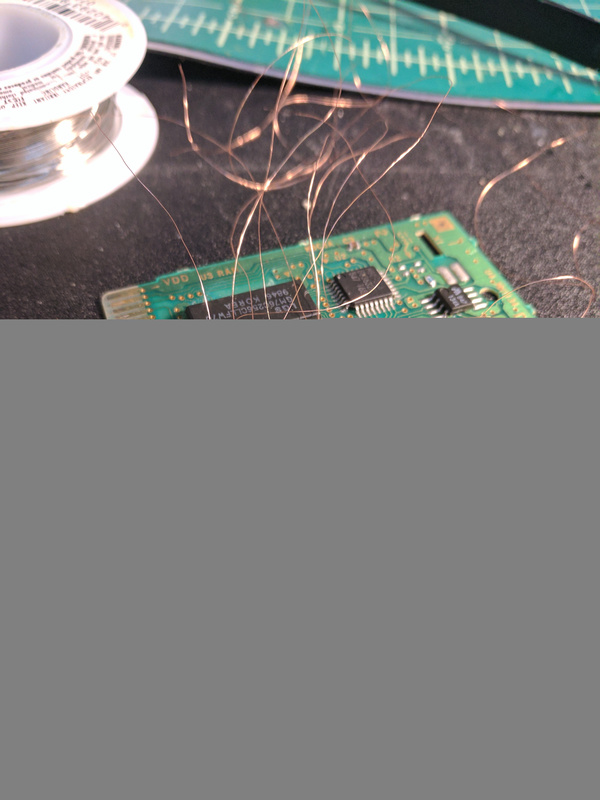 However, if they're not properly cared for then they can fall into pretty bad shape physically - especially cartridges, which contain multiple components such as chips and back-up batteries. 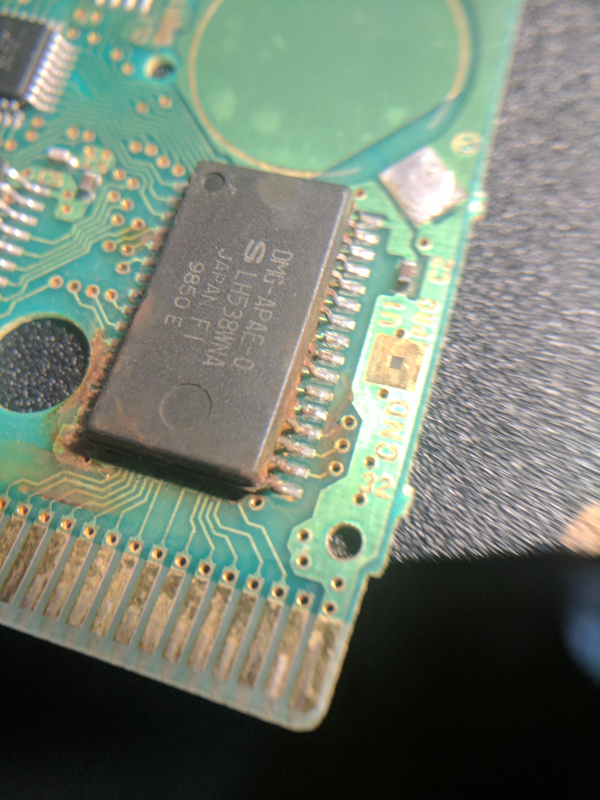 You might assume that when a cartridge reaches a certain state of disrepair that it's only fit for the rubbish pile, but that's not always the case. 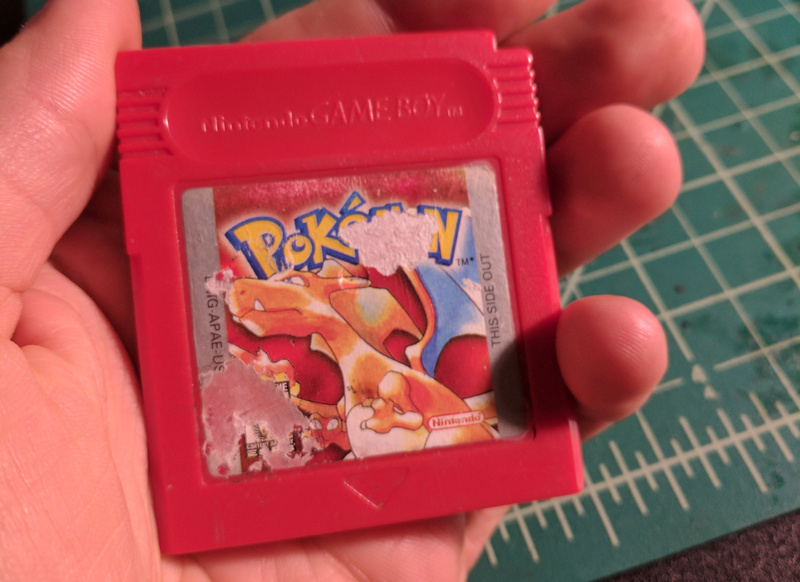 Imgur user Snip3r95 took a chance on a battered copy of Pokémon Red at a local flea market for $5 and predictably discovered that it didn't work when they returned home. However, rather than discard the game Snip3r95 decided to open it up and see what the issue was. 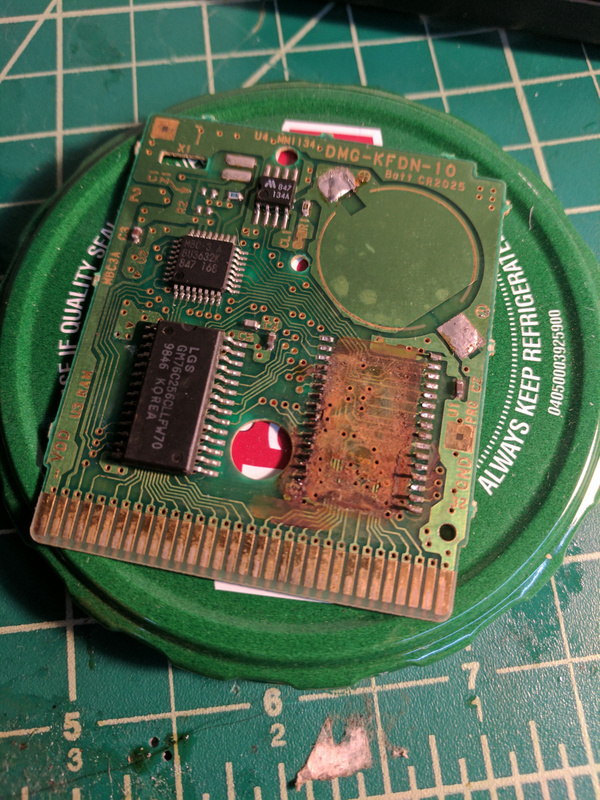 As you can see from the images below, the cart was in pretty bad shape with corrosion taking its toll and the battery missing, suggesting that the cart had been opened up before. 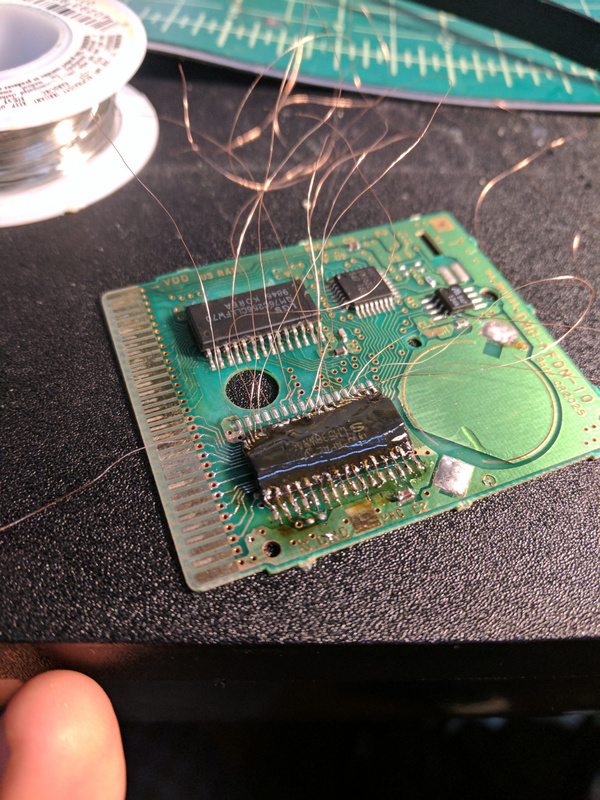 Unwilling to admit defeat, Snip3r95 got busy fixing these issues and cleaning up the cartridge. After three hours of work, Pokémon Red was back on working order - proof that these carts are more robust than we give them credit for. Was it worth the effort? Well, this particular Game Boy game changes hands for around £10 / $13 to £20 / $25 on eBay, depending on overall condition and can also be downloaded on the 3DS Virtual Console. But the satisfaction of bringing a dead game back to life? That's priceless. fair play, if you love the game make it work! So... basically zombie gameboy cartridges? I commend them, when I was young my pokemon pearl got in the laundry. The casing inflated like a balloon and (obviously) it didnt work anymore.To fix it I used an organ donation from tak and the power of juju, a cleaning solution with a qtip and lots of tape. Still works to do this day if you can believe it. Ugliest cart in my collection but still has a lot of memories. ok what else is new? You fixed a DS game with the components of a GBA game? I'm impressed! 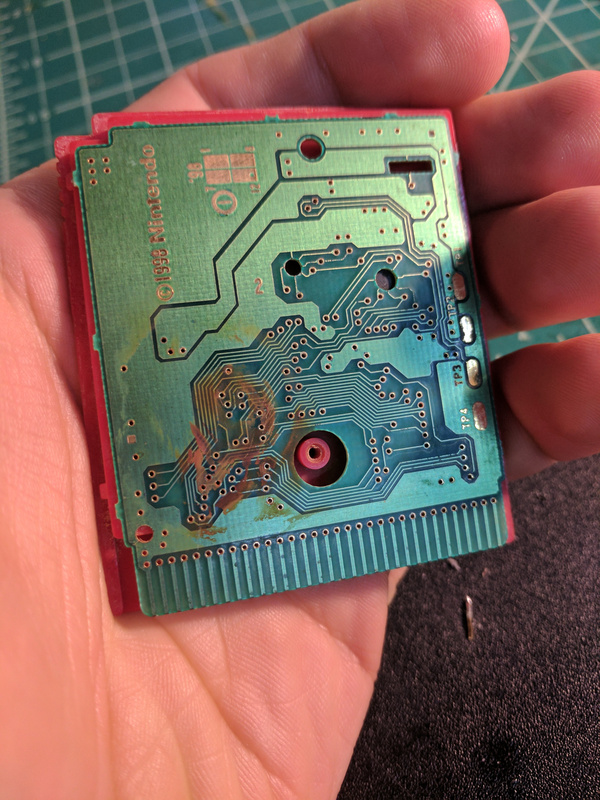 Fixing a game cart is always worth it. There's not an unlimited amount of them, and more of them will fail or be trashed over time. Preserving as many as possible is up to the public, no one else is going to do it. For some reason, I thought the article meant that people would go to graveyards to dig out Pokemon cartridges. ...............Hey, it's the Internet. Anything goes, right? That's a Claussen pickle jar lid. He must have good taste! Props to this guy. 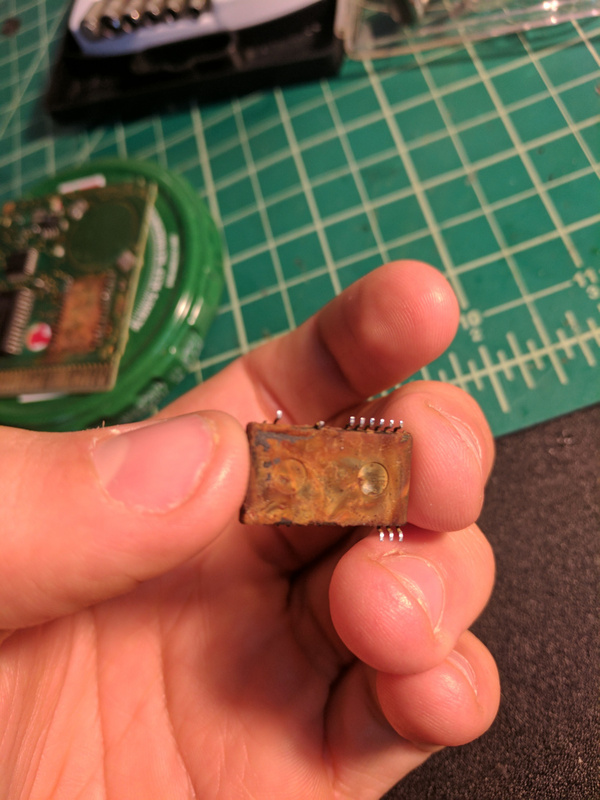 I can solder well, but I wouldn't have even tried on this. I'd love to see what tools he used. I need a new solder station. @NESguy94 haha no. There was a tak and the power of juju DS game called "Tak the Great Juju Challenge". It was pretty garbage and I never got past the first hour so I sacrificed it. If an (around) eight year old me could do that with a gameboy advance cart then I probably would being going into computer engineering by now. Ressurected from decayed, polished, work like new. @ieatdragonz Heck, you should consider it now! That's a majorly impressive feat! Back in the days of gen 1 I was in primary school, fixing my calculator (sort of) with nothing more than a pritt stick and brute force. Considering that the screen had completely fallen off before I 'fixed' it, the fact that it would only display 'alien symbols' was irrelevant to me considering it a success... and me and my friends worked out that you could decipher the symbols to work out what it said. my ousin borrowed this game from me over 15+ years ago and i just got it back three weeks ago and it still works great. of course then all of my gameboy games are in great working condition. however the only two gameboy games i play now a days are pokemon pinball and my gameboy camera which takes good pictures. it is just to bad that camera requires a lot of light to take pictures. i once hacked one of my gameboys so that i could use the gameboy camera as a web cam. If you know what you're doing then you can fix most things. Like old carts, and make them work again. The problem though, is that, the memory inside the cards won't last forever. Dollar value can't really determine if this is worth it or not when it's something you love to do. Some people (myself included) just love to tinker with stuff like this. My copy of Red and Yellow still work and the battery has never been replaced in either. That said, I have the Virtual Console versions of all 3 original GB Pokémon games on a 20th Anniversary Pokémon New Nintendo 3DS. I love these old games!! 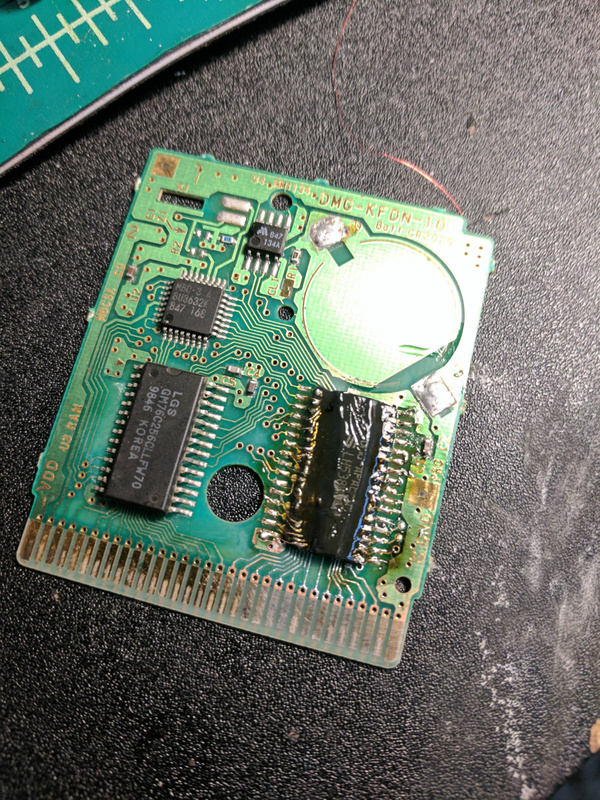 I've been fixing gbc and gba systems for the past few months. It's CRAZY satisfying when you get things to work. Now I just have loads of gameboys in my house lol. Turning my hand to broken DS now. Screen ribbons are very difficult to take out and put back in through the hinges. 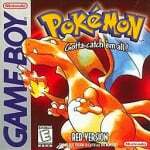 Which is better for playing GBA games ? I love doing stuff like this. It's worth it to me. Not sure if it's worth a news article though. "Proof that these carts are more robust than we give them credit for." Cartridges are always given credit for being robust. It's one of the major pros that are thrown around when compared to discs. This had less to do with the robustness of a media, and more to do with external physical damage. If I take a disc, and smash it with a hammer, it won't make the media any less, or more robust than its current reality. It would just destroy the smashed disc. I know right? That one ribbon cable with the 2 smaller ones on the logic board is a *****. Speaking of which I need to get those 2 spring for my PS4 controller....opened it up and the springs flew off, never to be seen again. In BattleBlocks Theater I kept crouching without meaning too. 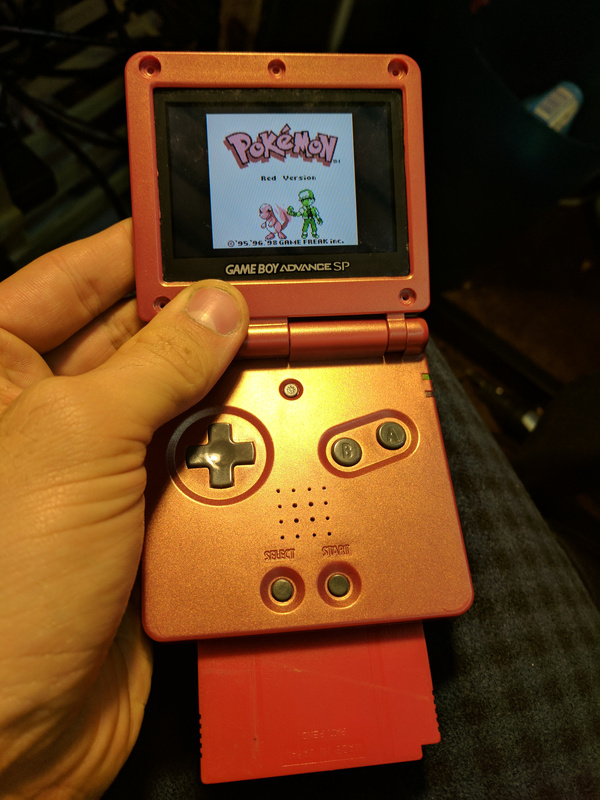 @UK-Nintendo gba sp ags-101 is backlit and is better than a ds. @UK-Nintendo yep i imported one from the usa last year, but it is like night and day. Also got a micro this year but its teeny so the sp is better in my opinion. I wish nintendo would go ahead and re release all of their classic consoles and handhelds and games by order.